Locksmith Kitchener, Affordable, reputable and fast are the best words to describe a company that’s been serving Kitchener – Waterloo area since 2006. 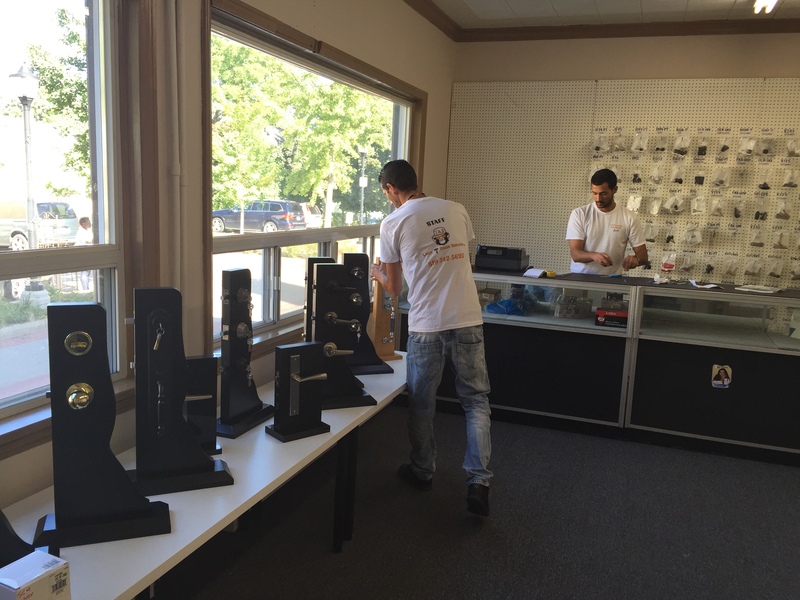 Locksmith Kitchener is your intelligent choice for locksmith service in Kitchener, Waterloo. There are a lot of locksmiths to choose from in the Kitchener area, but Locksmith Kitchener is different. Our locksmiths are trained and certified in many different areas of home, business and automotive security. Don’t allow any old locksmith to work on your car, house or business, call the best Locksmith Kitchener. We are a 24-hour, mobile emergency locksmith. Our technicians are out and about in the K-W area 24 hours a day, seven days a week. Our dispatch office uses a sophisticated computer system that can track our drivers via global positioning satellites and dispatch them to your location quickly and efficiently. Let’s face it, when you’re in a jam you want someone there fast. Nobody wants to wait around in the rain or in a dark parking lot for an hour. Your best choice: Locksmith Kitchener emergency response. Give us a call and we will be on our way. Our team is standing by now waiting for your call. Locksmith Kitchener service fee is one of the lowest in the Kitchener area. We strive to keep our prices competitive and our clients happy. We challenge you to find us cheaper service fee in the Kitchener – Waterloo area. We offer Kitchener emergency locksmith services as well as by appointment. Not every job we take is an emergency. If you would like to make an appointment for something like rekeying your locks or making a new key or anything else you can think of, give us a call were happy to come out at the time promised to perform our services on-site at your location.